Due to a road drop out, a section of Queens Road will be reduced to a single lane in Bavu Nadi, next to the Bavu Road intersection for repair works. Works are expected to commence from 7am, Thursday 21 June and will be completed by 3pm, Friday 22 June. The FRA contractor will close off the Nadi bound lane to repair the damaged section. The drop out is on the road shoulder of the Nadi bound lane and is 300m (towards Sigatoka) from the sinkhole that was repaired on Friday (June 15th). It is approx. 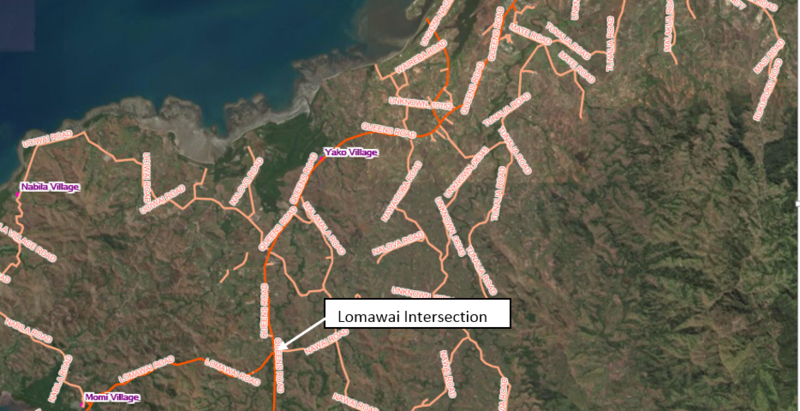 20.87km from Nadi Town (Temple Roundabout), if travelling towards Suva from Nadi. For the safety of the travelling public, we have reduced traffic to a single lane. FRA engineers and contractors will be on site managing traffic. Road users are requested to be aware of the temporary lane restriction, adhere to the Traffic Management set up around the site and drive to the conditions.